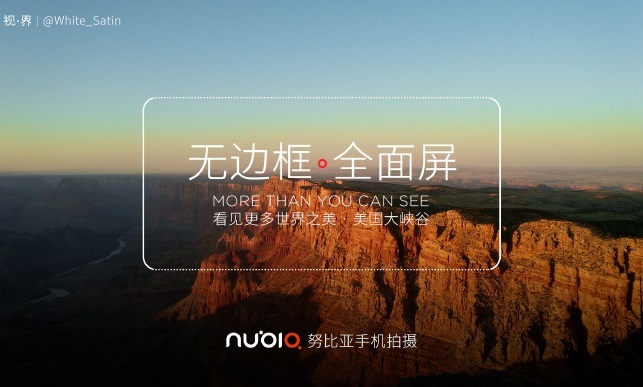 The 5.5-inch Nubia 17 is only a few months old, but ZTE may already be preparing to reveal a smaller 5.2-inch Nubia 17s complete with dual rear cameras and potentially the same Snapdragon 835 SoC. 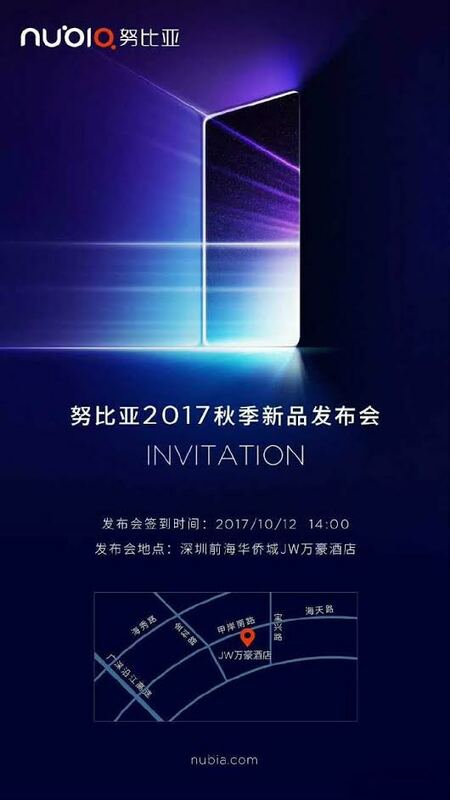 Chinese manufacturer ZTE is expected to unveil a direct competitor to the recently revealed Xiaomi Mi Mix 2 on October 12 in Shenzen, China according to the latest official teasers. 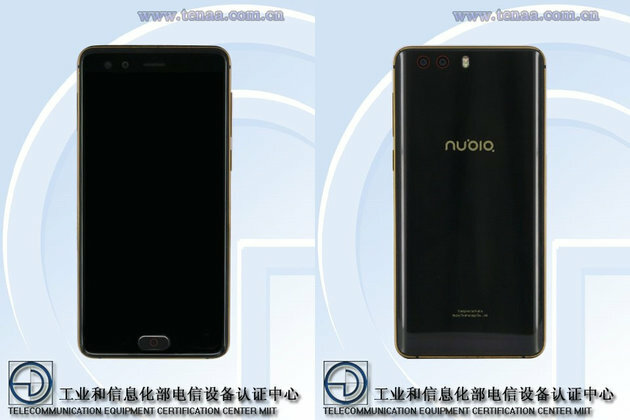 While the exact model is unknown, it is widely expected to be the Nubia 17s as the timing of the reveal lines up with recent TENAA listings about an unannounced ZTE smartphone with the model number NX589J. 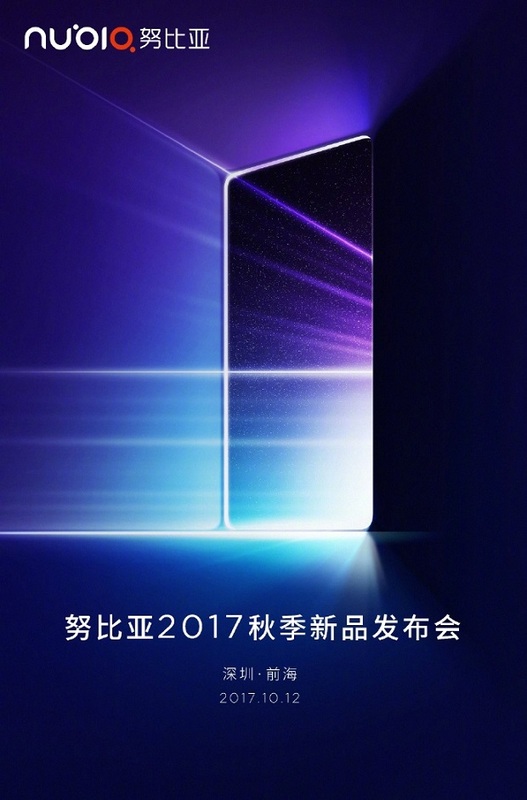 If the TENAA documents are of any indication, then we can expect the new smartphone to carry a 5.2-inch FHD display, 6 GB of RAM, 64 GB of internal storage, 3100 mAh battery, and 13 MP (x2) and 16 MP rear and front cameras, respectively. The exact processor is unknown for now, although a Qualcomm SoC is likely since the original 5.5-inch Nubia 17 carries a Snapdragon 835. A narrow bezel design is also very likely considering the current trend set by the flagship Samsung Galaxy S and Apple iPhone series. Here's hoping that the smaller Nubia 17s will carry a 3.5 mm audio jack as it is expected to be a hair thicker than the larger Nubia 17.